For over 80 years, Buehler has been manufacturing and selling the world’s highest quality and most durable metallographic sample preparation machines and consumables. Buehler continues this tradition of quality today by manufacturing Wilson Micro-Hardness testers and Macro-Hardness testers. 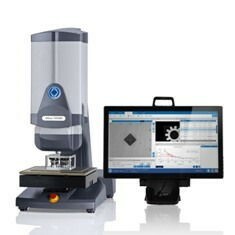 In the world of micro-hardness testing, Knoop and Vickers are the two main practices used to take measurements – both leave different and unique indentations in the material. Depending on your application, you will need to know when to use Vickers, and when to use Knoop. Vickers measurements have symmetrical indents, making it easier for positioning and repeatability. However, if you have tried taking a hardness measurement on a thin coating or layer, you may realize that measuring in Vickers may not be effective. Knoop is designed to offer the ability to put more closely spaced indents in a staggered array. The difference between both Knoop and Vickers indentations is illustrated below in Figure 1. Both Knoop and Vickers can be supported in all Wilson Micro-Hardness Testers. Figure 1: Knoop (left) and Vickers (right) measurements taken at 400X at a load of 500 gmf. Hardness testing has never been more reliable than with a Wilson Micro-Hardness Tester, providing users with fast and accurate measurements. This new series of Buehler Wilson Micro-Hardness testers helps you avoid long set up times or manual operations. They are available in a wide variety of configurations, allowing you to purchase a system that best meets your technical and budget requirements. What sets Wilson Hardness testers apart from a standard, manually operated, hardness tester? Figure 2: DiaMet contains features including recording the hardness distribution of welds and the depth of hardening in induction-hardened parts treated with conventional hardening processes. Works with Windows 10 and Microsoft Office. DiaMet is a software system that offers users the required flexibility and broad feature set for planning, running, analyzing, documenting and archiving of individual measurements and measurement series automatically. 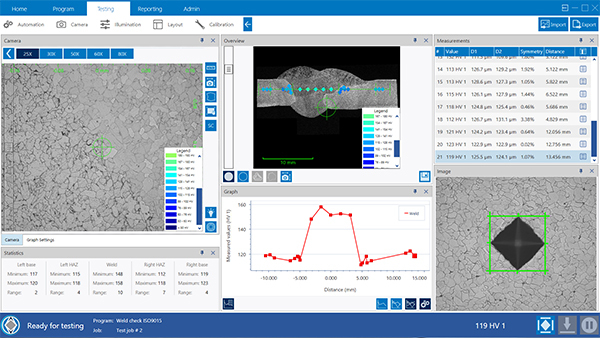 The DiaMet software is optimized for evaluating Macro-Vickers, Micro-Vickers, Knoop and Brinell indents according to ISO 6506, ISO 6507, ISO 6508, ISO 4545 and ASTM E384, ASTM E92, ASTM E10 and ASTM E18, and is designed to work with all models of the current Wilson® VH and UH hardness tester series, as well as some legacy systems. DiaMet is easily customizable to conform to all of your team’s hardness measuring needs. The system can automatically calculate case depth based off of specifications of your part. It is capable of weld testing and mapping with the ease of indentation mapping. Weld measurements are based on ISO 9015 and ISO 15614. The combination of DiaMet’s database of industry standards along with the system’s automatic measurement ability, makes identifying base/parent metals, heat affected zones and weld maps easier than ever thought possible. An illustration of mapping/stitching capabilities of the system is shown below in Figure 3. 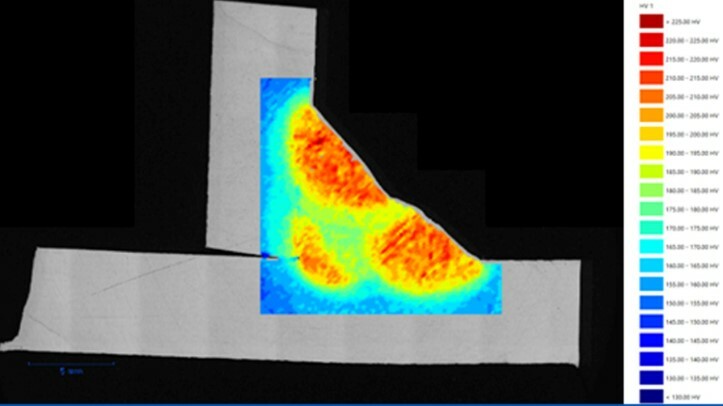 Figure 3: DiaMet heat mapping/stitching software. DiaMet allows the user to customize their test to fit even the most dynamic needs. Multisampling is a feature incorporated into the software, which allows multiple samples to be run at a time, enabling higher throughput. DiaMet’s ability to recognize previous samples via its scanning and template function will enable the software to identify similar samples and automatically place your indents. This software is also appealing in the sense that it empowers less extensively trained staff to conduct comprehensive tests and produce highly accurate results. Hands-off testing, a friendly and intuitive user interface, improved testing efficiency and time savings are all attributes that can be brought to your team with a Wilson Micro-Hardness Tester. Wilson offers a variety of micro-hardness testers, such as the VH3300, VH3100, VH1102/VH1202, VH1150. Each one offers benefits, versatility, and ease of use in manual operation or by using the DiaMet platform. There are many types of micro-hardness testers in a variety of configurations designed to suit your lab’s applications. 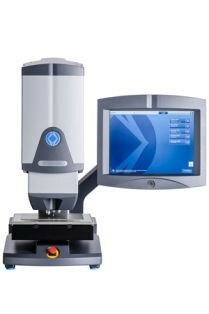 The Wilson VH3300 hardness tester is an automated system that provides a fully integrated platform for your complete Vickers and Knoop hardness testing needs. The VH3300 uses integrated loadcell(s) for continuous monitoring of the applied load, as well as crash detection capabilities. With a leading-edge modular frame, X, Y stage, Z controlled head and optics, the system is designed with an easy-to-use and friendly user interface. The VH3300 Tester is Wilson’s most advanced unit specifically manufactured with its extended load cell capabilities to meet your hardness measurement needs today, tomorrow, and into the future. The Wilson VH3100 incorporates revolutionary precision in Vickers and Knoop hardness testing, with a robust load application range of 50 gf – 10 kgf with a single load cell. The system also includes a patent-pending safety collision technology, with the most advanced optics in the industry. This unique combination allows the Wilson VH3100 to meet a wide range of Knoop/Vickers testing requirements. The VH1102 and VH1202 were created for measuring in both Knoop and Vickers testing and offer a versatile, economical and reliable solution for your research and quality control functions. Manually operated machines such as the VH1150, VH1102, and VH1202 have all been upgraded with automatic load selection. Automatic load selection means the operator will no longer have to select the load or change weight to the proper testing load. 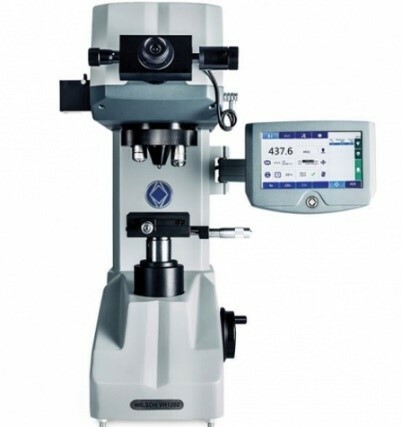 Additionally, the VH1150 is capable for both micro and macro hardness measurements. Investments into these models demonstrate Buehler’s commitment to faster and more reliable measurements in all of its tiers of products. Application support is available from trained specialists at Berg Engineering, who can assist you with any of your testing or software issues. Berg Engineering is your complete provider for hardness testing, technical sales support, installation, calibration, application, load cell and dead weight options, improved accuracy and superior repeatability. Upgrade and improve your hardness testing lab by contacting a Berg Engineering sales engineer today to learn more about Wilson Micro-Hardness Testers from Buehler. You can reach us by calling 1-847-577-3980 or email info@bergeng.com.